It's time. No really. It's time! It has been a long and coooooold winter up here in Canada (I know, I know, it should be a long and cold winter up here), so let's just say I am ready for spring! 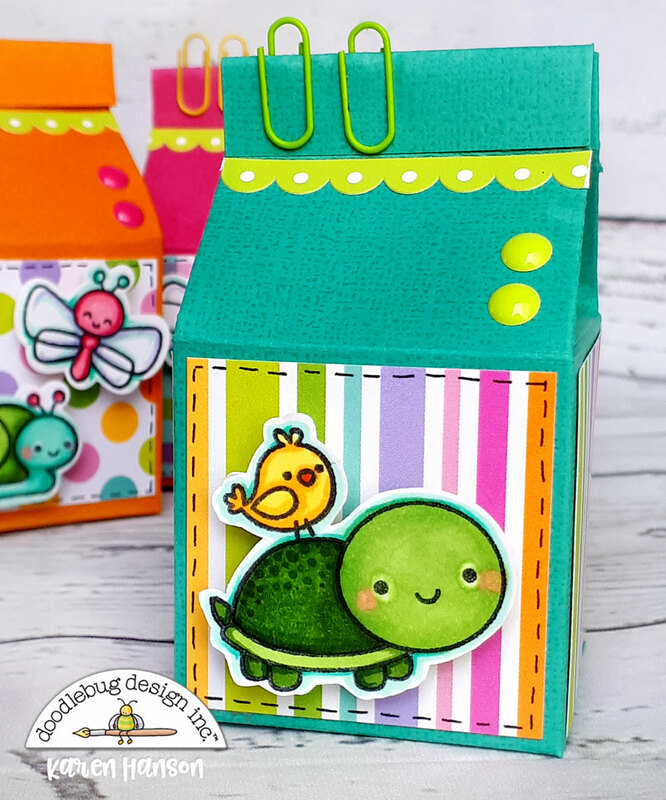 So, when Doodlebug's Simply Spring collection arrived on my doorstep, this collection went straight onto the crafty table. It might still be white and bleak outside, but my crafty space is filled with the spring colours and cute spring icons that make me smile. Goodbye winter - hello spring! I decided to whip up a few treat containers for some of my colleagues - a little surprise for the first day of spring! 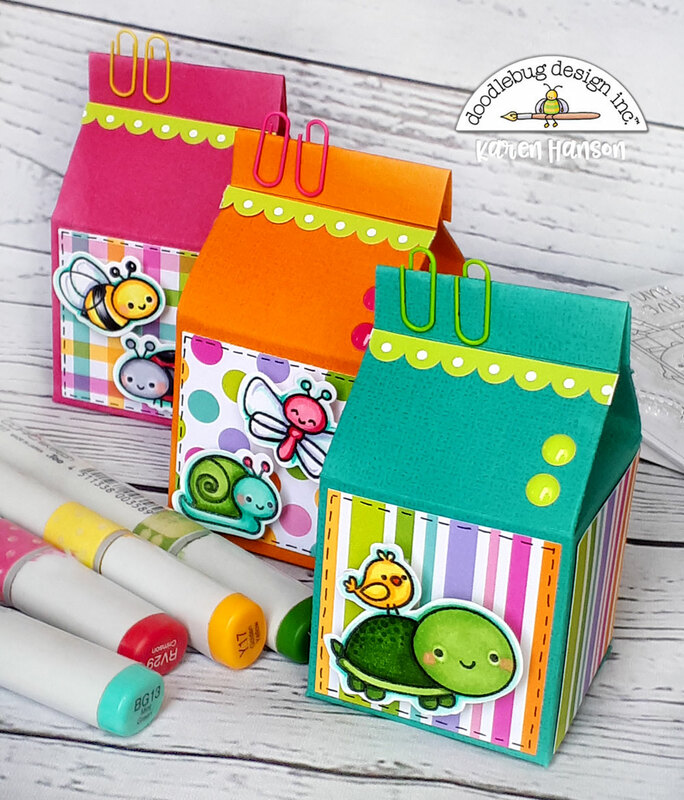 With the new doodle stamps and doodle cuts, these were a spring breeze! 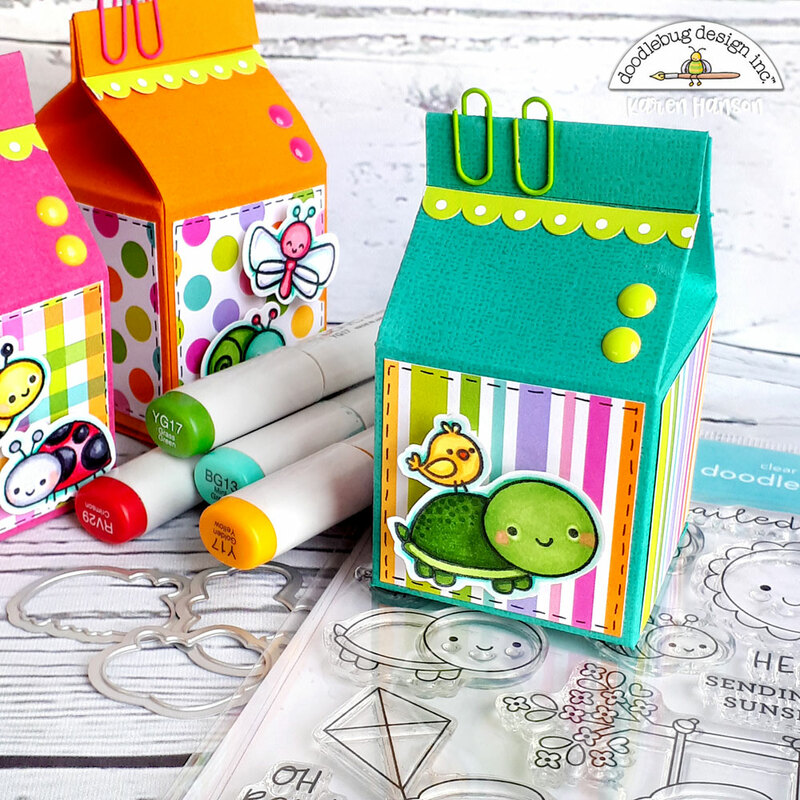 I used the darling "oh boy" doodle stamps for the little characters on each container coloured up with my alcohol markers. Each is adhered with a foam square just to give the containers a bit of extra dimension. 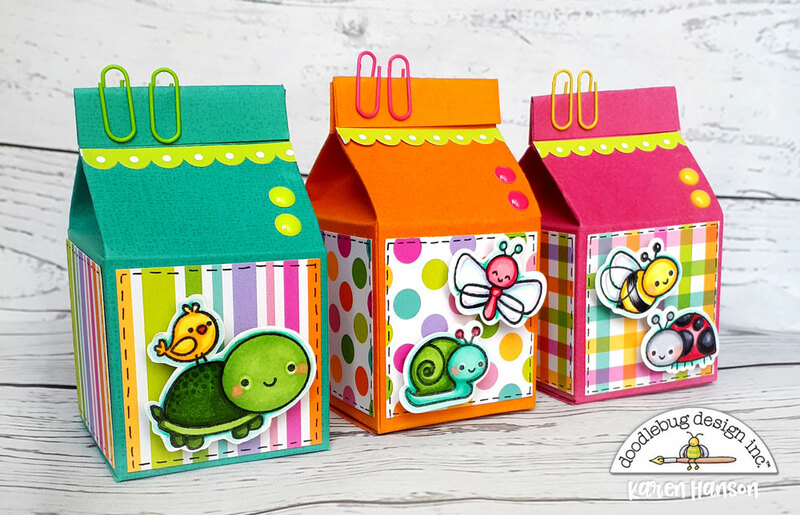 Hopefully these little creations bring a little spring smile to your face and inspire you to get crafty with this new collection! Just wondering how you made the containers? Is it a die cut? Hey Keri, I just cut it out of a 5.5" x 8" piece of cardstock. Here's a link to a little sketch I put together for you on the scoring and cut lines. Thanks so much but I can’t get the link to work. 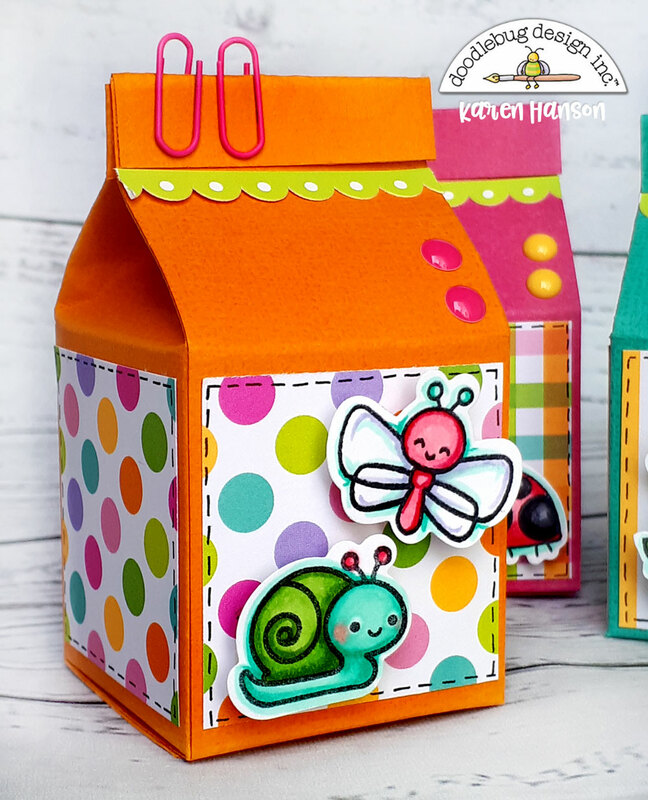 the box looks like a milk carton box, you can find a template for that on Template Maker or Lettering Delights, both offer PDF if you don't have a die cut machine. That's right - I just cut it by hand from a 8" x 5.5" piece of cardstock. No die cutting machines needed!